Colour Energy Corporation (CEC) is a company that has been providing consumers with education and products in Europe, North and South America, Asia and Australia for over 15 years. The founder of the Colour Energy concept, and the power behind the development of the line of Colour Bath® products for personal wellness, is 68 year-old former kindergarten teacher named Inger Naess. The Colour Energy concept is based on a complete analysis of the influences of the seven primary colours and their relation to aspects of personality. The concept of Colour Energy is to educate and provide people with products they can use to tap into the power of colour and improve their general well-being-body, mind & soul. 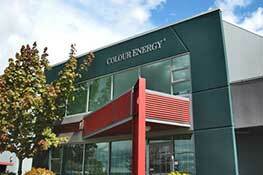 Colour Energy Corporation is known for manufacturing high quality colour therapy tools. CEC is the world leader in offering a complete line of colour therapy wellness products. Excellent for personal use as well as for practitioners, therapists and spas to enhance their practice/service.